What’s not to like about brassWELL? Gerard Craft took Brasserie’s Cinq à Sept happy hour menu and chef Joe Landis, put them in a light blue shipping container, and dropped them off at Rockwell Beer. 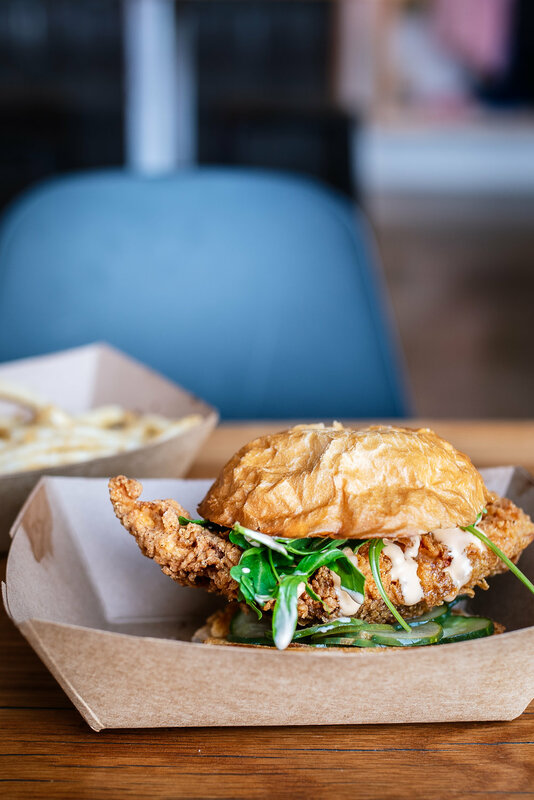 Now, Wednesday through Sunday, you can go to one of St. Louis’ newest breweries and drink freshly brewed beer while eating burgers, fries, and soft serve. What a life. It does get crazy crowded on the weekends, so keep that in mind—especially if you have kids in tow. Things should get a little less hectic once their huge patio is useable, but it’s winter and it’s gross out, so you’re stuck in the dining room. 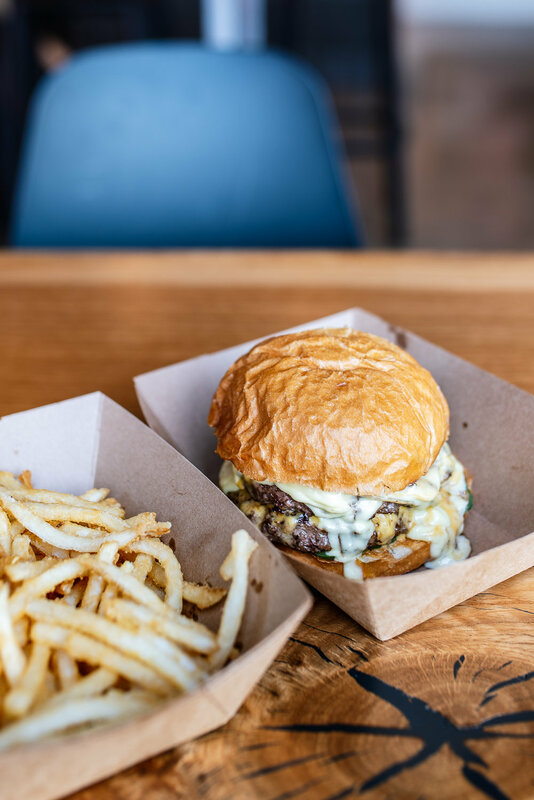 The menu has its staples—beef burger, fries, chicken sandwich, veggie burger, beer brat—but you can expect specials and variations weekly, depending on what Joe is feeling. Scroll down for a menu breakdown. This is why you’re here. Brasserie’s famous burger, offered as a single, double, or bigger, if you’re an animal. It’s the perfect diner burger, and I love it. The fries are the same ones you know and love from Brasserie and Taste, and they have a pump filled with aioli. This is on the kids menu, but I refused to be shamed for eating it. It gives Peacemaker a run for its corndog money. Flavors change weekly, but I’ve never met a soft serve I didn’t like. Brasserie’s brunch beignets made their way to Brasswell, too. They’re served with whatever dipping sauce Joe feels like making—this lemon curd will be hard to top, though.